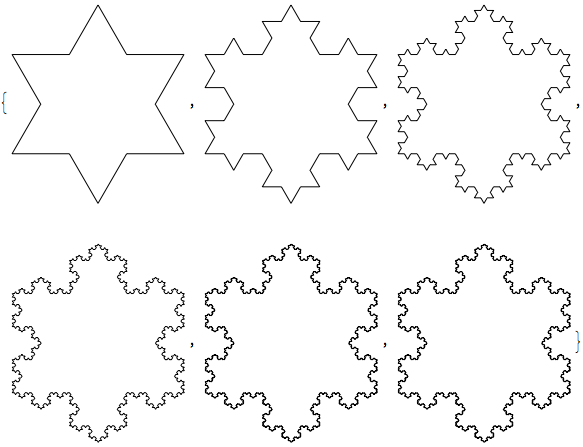 I am looking to create a user interface where the user can click on the screen and create a picture or pattern using Koch's snowflakes. To do this, I was hoping to write the recursive function necessary to generate the Koch's snowflakes, then create graphics objects out of these snowflakes. Is it possible to create graphics objects like this? Any help will be much appreciated! Thanks! Not the answer you're looking for? Browse other questions tagged graphics or ask your own question. Remove color artifacts in overlay of several Graphics objects? No Way to paste a Picture from Clipboard under Linux?